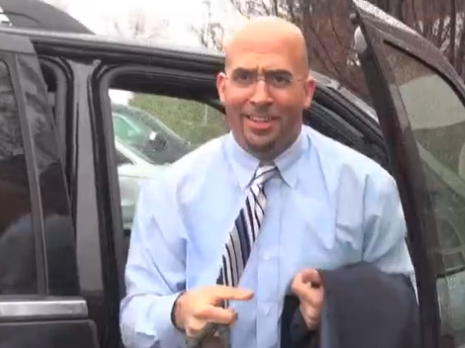 James Franklin in January 2014. Photo by Steve Bauer, StateCollege.com. Franklin’s answers were honed in the PSAC, the Danish American Football Federation, the CAA, the Pac-10, the Big Sky, the ACC, the NFL, the Big 12, the SEC and the Big Ten. “He can’t keep a job,” East Stroudsburg president Marcia G. Welsh deadpanned after introducing him at ESU’s commencement ceremonies last month. Or, it’s the perfect example. Franklin’s road as a college coach began in 1995, when – just months after graduating from East Stroudsburg as a record-setting quarterback – he took a job as the wide receivers coach at Kutztown University. For $1,200. It’s only 152 miles from Kutztown, Pa., to University Park, Pa. But it took Franklin 20 years to make the two-hour and 36-minute trip. Here’s that ladder, in order: Kutztown, Denmark, East Stroudsburg, James Madison, Washington State, Idaho State, Maryland, the Green Bay Packers, Maryland (again), Vanderbilt and Penn State. Franklin makes no apologies for all his Mapquested job quests. Without them, he may not have been hired to his first head coaching gig, at Vandy in December 2010, at the relatively young age of 38. “First of all, I’ve been fortunate. People have given me opportunities and been mentors and helped groom me in a lot of ways,” Franklin said. “I think it’s very, very important that I was an assistant or that I was a recruiting coordinator or that I was an offensive coordinator before becoming a head coach. Forget about paying your dues. Franklin paid his tolls. And he’s done it all in just three automobiles. That’s when Franklin started talking about his history with cars, in a roundabout way, when I asked him about keeping his “eye on the prize” throughout his crazy quilt career. His answer was a very long one, in two parts. He stopped a couple of times. This wasn’t your usual exchange, and he knew it. “A couple of nights before I left, I went out to celebrate with some buddies in Philadelphia. I came out and I said, ‘I swear I parked there.’ My car had gotten stolen. And I didn't get it back until like 5 o’clock that morning. Franklin’s car started up just fine and off he went as well. A mile later, he ran into Montana’s finest. Again. When Franklin arrived in Maryland in 2000, he finally got rid of the Honda Accord. He bought that Isuzu Trooper. He thinks it was purple, but still isn’t sure. That would be the aforementioned Yukon Denali. Don't let the symbolism of that SUV get lost in the story. Denali Park & Preserve in Alaska is six million acres of wild land, punctuated by Mount McKinley -- North America's largest peak, at 20,320 feet. Franklin may not have moved mountains to get to Penn State, but as the interracial son of a blue-collar single mom he certainly climbed a few. His values and work ethic remained intact. The Denali was new when Franklin bought it. And it still looks that way. This is Coaching Job No. 12. And admittedly, it is Franklin’s dream job. So it’s unlikely he’ll go anywhere soon. Lucky he stopped short of 13. Or maybe not. Luck, they say, is the residue of design. 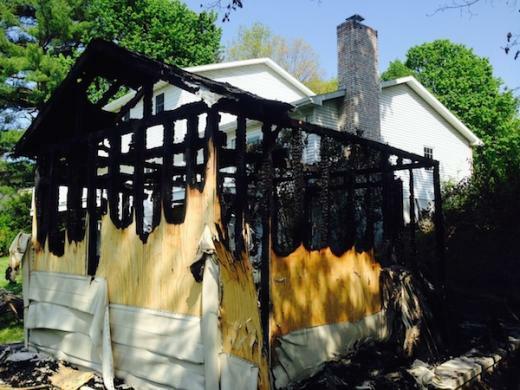 The man accused of intentionally starting two fires in State College and vandalizing a cemetery in Ferguson Township waived his right to a preliminary hearing.